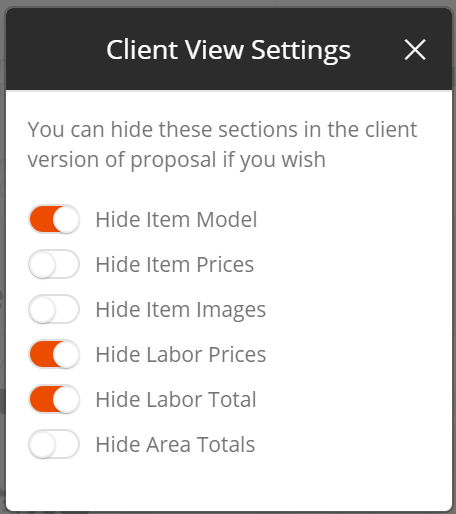 To hide or show certain fields on a proposal, open the options dropdown menu by selecting the (...) icon in the top-right of the page, then select Client View Settings. In the pop-up window, you can hide a field (orange: slider button set right) or display it (white: slider button set left). When you're done editing, select the X in the top corner to return to the proposal. NOTE: These settings will apply to new proposals moving forward, but will not retroactively change the settings for existing proposals. 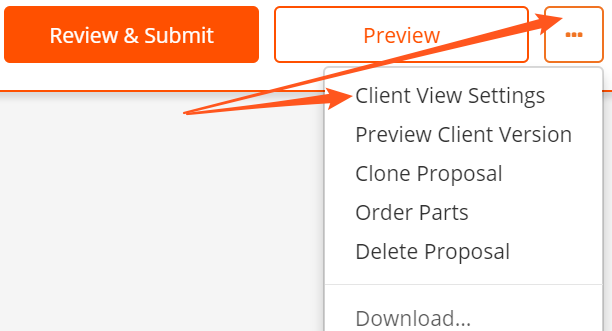 Client View Settings are global within a company's account.